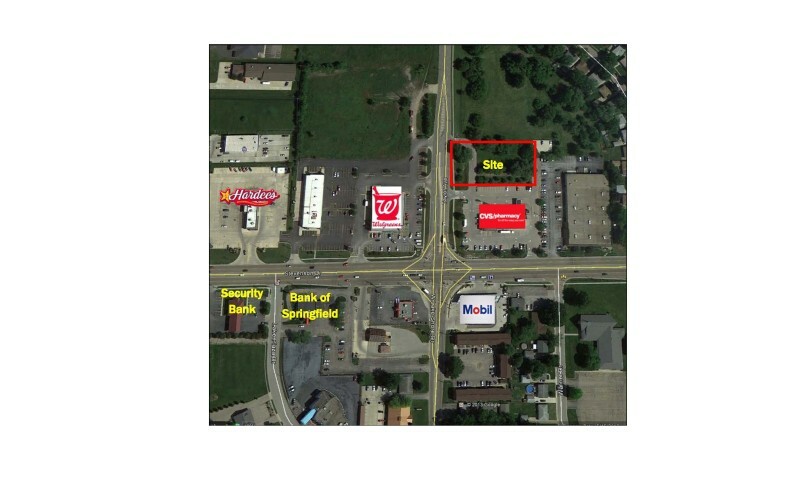 Vacant parcel adjacent to CVS and across the street from Walgreens. Great opportunity for new retail development. Lot size is approximately .73 acres with traffic counts reaching 16,600 VPD on Stevenson Dr. and 4,700on Taylor Ave. Just north of a lighted intersection with curb cuts already in place and less than 1 mile from I-55 / I-72.